With printed orders, the first step is to have the artwork ready for printing. This means that the motif supplied by the customer is converted by our prepress into a color separated file ready to make printing plates for the presses. From these data a digital proof or a hard copy is sent to the customer for inspection. After approval from the customer, the printing plates are made on this basis. Upon receipt of the order, it is checked whether the right foil is in stock and if not, it will be ordered. The foil enters on rolls, which we can cut to the desired size if necessary. Then the roller is mounted on one of our many machines. 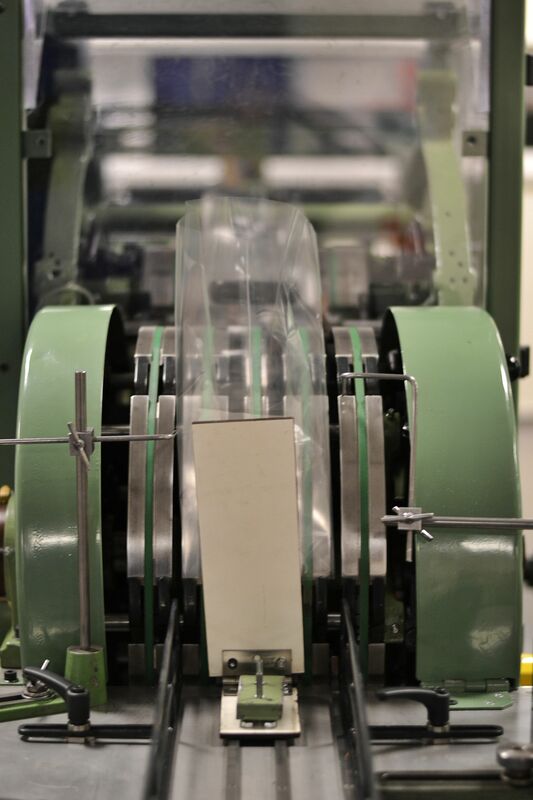 After that, the relevant machine is set by our technical department for your type and size of bag. Once the machine is fully set up, the actual production of your pouch can begin. Because we are BRC-certified, every box is checked at every machine to ensure quality. The bags are packed in boxes directly from the machine and placed on pallets. As soon as the pallet is full, it is stored in our warehouse until the order can be sent.